The general consensus around the Paleo world is that the more active you are, the more carbs you need. That’s especially true if the exercise is intense: walking is one thing, but if you’re getting up into the high-intensity sprinting or ten-mile runs, your body will be hurting for some carbs. This is all based on science, but the vast majority of the science is from a very limited population: trained elite athletes, and/or college-age men doing intense exercise and not looking to lose weight. What about the people who aren’t doing sprinting or 10-mile runs, but might be doing occasional squatting or 3-mile runs? What about middle-aged men? What about women? What about people who went low-carb to lose weight? There’s plenty of anecdotal evidence about exercise on a low-carb diet, but it’s all conflicting. On the one hand, beginners often start trying to do a hard workout every day on a low-carb version of Paleo where they’re also trying to restrict calories for weight loss. Then they get exhausted and their performance completely tanks, but if they add in a potato or two every day, they perk right back up again and feel fine. But on the other hand, there are also plenty of anecdotes about people who eat low-carb and feel just fine in the gym. So here’s a look at some studies on low-carb diets for ordinary non-athletes, how they affect exercise, and the role of different individual factors (for example, everything can change depending on whether or not weight loss is involved, which is not something you’ll find in the elite athlete studies). When it comes to diets and athletic performance, it’s important to distinguish between a true ketogenic diet and a low-carb diet that isn’t ketogenic. If you don’t know about the science behind ketogenic diets, here it all is – the rest of this section will wait. The problem with low-carb-but-not-keto diets is that there isn’t a huge amount of evidence on anything that counts as actually low-carb to the Paleo crowd (50% carbs is…not low-carb). This review cites the studies we have, and concludes that there just isn’t enough evidence to give one statement on the effects of low-carb diets on performance once you give the athletes enough time to adapt to them. Quite a few showed a performance decrease. One study showed an advantage for low-intensity exercise, but a few others showed no advantage, and none showed any advantage for high-intensity. It takes a few weeks to fully adapt to the diet, even in well-trained athletes. Electrolytes are crucial, especially sodium and potassium: the Inuit ate a high-salt diet, and athletes fed a high-salt keto diet did better than athletes on a lower-salt diet. Protein is also important. Phinney recommended about 15% of the diet as protein (that’s low by Paleo standards, but that’s how keto works). So far, these studies suggest that low-carb or ketogenic diets do limit performance in intense exercise, but that it’s still safe and feasible to exercise while you’re on them provided you know how to work with your body’s new limitations and not overtrain or push it too hard. If you’re not one of the elite athletes in most of the studies, you might not care much about the performance decrease, or the other benefits of low-carbing could be worth it. Just to take one example, if you could easily cure years of painful and embarrassing acne at the cost of adding :30 to your mile time – worth it, right? What Happens when you Add Weight Loss? One reason why all that research might not be immediately applicable is that the study diets usually weren’t trying to cause weight loss (or were actually designed to avoid it). But most people interested in low-carb Paleo + exercise are interested in it primarily for weight loss. A weight-loss version of a low-carb diet could affect athletic performance differently than the study diets above. Eating below maintenance calories (whether it’s the automatic keto “just not hungry” style of restriction or deliberate counting-style restriction), hurts athletic performance. On the other hand, losing weight (whatever diet you used) tends to make people faster and make exercise easier. Here’s an interesting pair of studies on very gentle exercise while eating a low-carb diet for weight loss. The first one is from 2009. 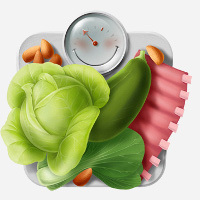 60 overweight and obese adults ate either a low-carb or a low-fat diet for 8 weeks. The subjects were also encouraged to exercise. At the end of the 8 weeks, they did tests of strength and aerobic endurance. Weight loss was slightly larger in the low-carb group. Both groups lost muscle mass and handgrip strength (which is what you’d expect – they were dieting, and some muscle loss is inevitable on a diet). Both groups got better at treadmill walking, with the improvement directly proportional to the amount of weight loss. There were no significant differences in exercise performance between the groups. The high-carb group did just as well as the low-carb group. This study from the same researchers ran for a whole year. It also looked at overweight and obese adults, and compared a low-carb and a high-carb diet. The results were effectively the same, with one exception: the low-carb group didn’t lose any more weight than the low-fat group. But just like the previous study, this one found a loss of muscle mass and strength, but an increase in ability to walk on a treadmill. So what does all this mean? There’s a tangle of effects from exercise, diet, and weight loss here, but practically, if you’re overweight or obese, and if you’re going to do gentle exercise while you diet, a low-carb diet probably isn’t any worse than a low-fat or low-calorie or any other kind of diet. But this study found that a ketogenic diet made people tired more quickly and reduced their desire to exercise (this was in untrained, overweight adults). Considering that the “high-carb” group in the study above (about 45% carbs) got the same weight loss as the low-carbers (around 5% carbs), it might be worth upping the carbs a little if workouts suddenly start feeling exhausting. For low-carb diets that aren’t for weight loss: studies on elite athletes have shown that in general, low-carb cause a moderate impairment, especially in anaerobic activity like sprinting and lifting weights. For normal people who aren’t interested in breaking any world records, that might not be a huge issue. For weight loss: a few studies on obese people doing very moderate exercise showed no advantage of high-carb over low-carb diets. Carb restriction can be an extra stressor. It’s not a magic band-aid for overtraining. Carbs are one aspect of recovering from intense workouts. Without them, you may recover more slowly or see a drop in performance. If you don’t want to plan for that, the solution is to eat some carbs, not to “push through” with caffeine. Don’t be the people from the beginning, who try to combine extreme carb/calorie restriction with 7-days-a-week CrossFit and end up burning out. Everyone’s body is a little different when it comes to carbs. Yours will tell you if you’re overdoing it, or if the low-carb + half-marathon training + weightlifting + Tae Kwon Do thing just isn’t working. Listen to it.